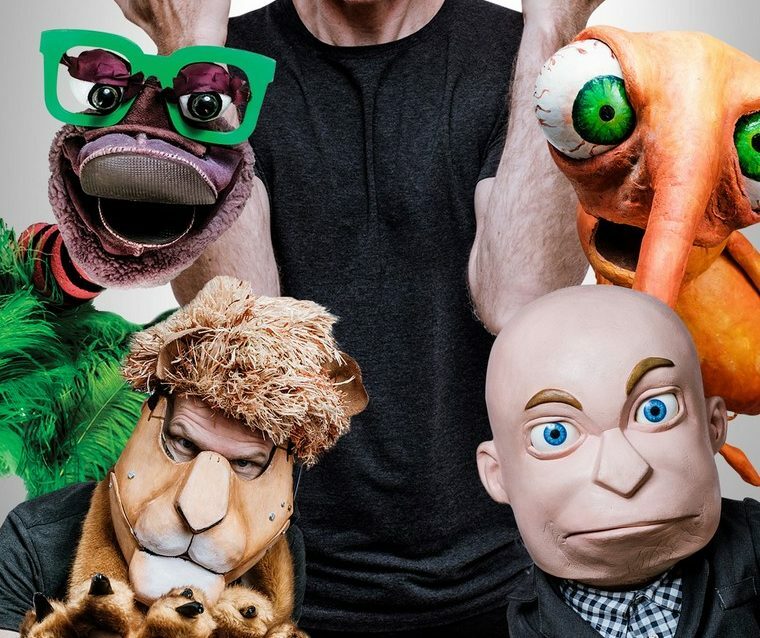 With repeated five-star reviews in tow after a whirlwind tour to Canada and Australia, Conrad Koch & Chester Missing and their fellow entourage of loyal puppets are excited to be returning back to the Pieter Toerien Studio Theatre stage at Montecasino, from March 27 to April 14. ‘Puppet Guy’ is all about the humorous characters, funny observations and entertainment – it’s Koch going back to the lighter side of comedy ventriloquism. “Our style of comedy has always relied heavily on social and political commentary – Chester Missing even got his own weekly satirical TV news show because of it – but with Puppet Guy, I wanted to explore having fun with ventriloquism. We still keep it relevant and topical, but it is a good change of pace. Chester is still up to his shenanigans and hilariously talks about the world and South African politics, there’s an outrageous ostrich puppet that has been made out of a slipper and feather dusters; a mosquito and a DJ puppet made out of a hoodie and sunglasses,” comments Koch on what people can expect from the show. The show is directed by Chris Weare and carries a PG-13 age restriction. Tickets start from R130 and are available through Computicket.